Hellena and Ishaq had a baby daughter but things were rather complicated. Khadija spent her first 3 months as a baby in hospital until due to a number of complex medical problems including exomphalos, a condition in which much of the contents of the abdomen is external and contained in a loose sac. Hellena, Khadija’s mother had had a poor childhood and had been known to the Local Authority as a child. She was thought to be a ‘vulnerable adult’ and had already had an older daughter who had been adopted following child care proceedings. There were also complications concerning Khadija’s father who did not have residency in the UK. As a result, when she left hospital, Khadija was placed in foster care, whilst her parents continued to live in their home, which was unsuited and too small for a baby. Despite initially being reported as unlikely to survive infancy Khadija made good progress with regard to her health, although she continued to require a high level of on-going medical support and intervention. When Khadija was six months old, Symbol were asked to undertake a parenting assessment of Hellena and Ishaq with their daughter Khadija, by their Local Authority, following a court direction. At the start of the assessment process there were doubts as to whether Ishaq would be able to remain in the country. This was key for the family as they acknowledged that Hellena would not be able to care for Khadija on her own. Initially Symbol carried out a short, community based, preliminary assessment of the couple, observing them with Khadija and interviewing Hellena and Ishaq at their home. Before the Symbol Assessment Team members undertook the interview, they reviewed all the documents provided to them which allowed them to understand and accommodate Hellena’s learning disability and Ishaq’s need for additional time to respond to questions as a result of English being his second language. Both Ishaq and Hellena were very keen to be Khadija’s parents in the long term and wanted to be assessed to demonstrate that they could do this. They were warm and attentive to Khadija, although Hellena was understandably anxious about being observed. The interview was searching and both parents tried to be open and honest with Symbol, even though difficult topics were discussed, for example the need to use effective contraception, as managing two young children would be very likely to be beyond Hellena’s capacity. The Symbol Assessment Team identified that Ishaq and Hellena had not had an opportunity to demonstrate their capacity to parent Khadija with the right support and recommended a full residential assessment at Newington Manor so Symbol could ensure Khadija’s complex health needs were met whilst seeing if her parents were able to focus on Khadija all day, every day. Before the residential assessment members of the Symbol Assessment and support Teams met the parents, together with professionals, at the hospital which had been caring for Khadija to learn about the specialist medical care she needed, including changing her dressings and completing her twice daily physiotherapy sessions. The initial period agreed for the full assessment was 6 weeks, but this was extended after the first 3 weeks to a total of 12 weeks to allow the couple to continue to have support and intervention to develop their parenting and meet Khadija’s health needs as well as to allow Ishaq to establish his roles as primary carer for Khadija and as a support for Helena in her role as ‘mum’. As a specialist service Symbol works with parents with additional learning needs and therefore the support available to parents uses various strategies, chosen for each parent’s needs, such as the breaking down and chunking of information, using simple and concrete vocabulary, one to one modeling and the setting of targets through key-working sessions. Support staff and members of the Assessment Team also use visual aids such as written or symbolised routines, budgeting sheets and meal planners. Our own clinical psychologist, speech and language therapists and occupational therapists are able to identify which strategies are most suited for each parent. The assessment also included sessions with the assessment team to discuss the local authority’s concerns, and to strengthen Hellena and Ishaq’s motivation and capacity to change their own behaviours to address these. Khadija’s parents faced particular challenges because of Khadija’s health needs which meant, as well as scheduled medical care they had to learn additional parenting skills, which Symbol staff supported them with, like identifying ways to prevent Khadija from rolling in her sleep. Following the residential assessment, Symbol recommended that the family went home together, where Symbol would provide both support and assessment to see if they were able to maintain, generalise and continue to build on the skills they had demonstrated at Newington Manor. The community support and assessment for Hellena and Ishaq also covered areas such as budgeting, obtaining equipment and medical supplies for Khadija, becoming involved in the local community, managing Khadija’s hospital appointments as well as returning to the local Mosque to build the family’s support network there. 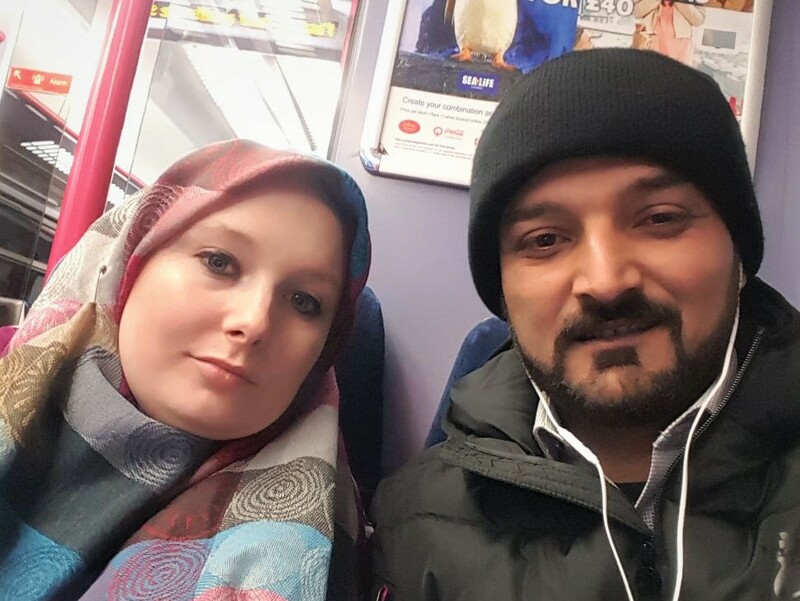 The couple had some issues with regards to their finances in the community and were supported by Symbol to address these concerns with Khadija’s Social Worker. Hellena and Ishaq obtained a new property to return to the community in, this property was not entirely suitable due to some pest control issues. Again, Hellena and Ishaq were supported by Symbol to voice these concerns to the relevant professionals. Hellena was also supported to make contact with local mental health services for herself and local Sensory groups for Khadija. At the close of the community based assessment recommendations were made stating that Ishaq should be Khadija’s primary carer, support should be offered to the couple through two weekly support visits to the home and that Khadija attend a nursery placement as well as respite care. By now both Hellena and Ishaq had gained in their confidence with regards to Khadija’s medical and developmental needs. Both parents had made positive working relationships with the staff supporting them and had made steps to emulate these relationships with the support being offered to them in the community. Khadija thrived in her parents care and was observed to settle well into life in the community with her parents.